Class Dojo is a great way for you to see in real time how your child is doing in school. "What have you done today at school?" This can give you a good idea about your child's behaviour so you can tell them how proud you are or discuss where they need to improve. Some classes may have slight variations on the behaviours for their classroom. 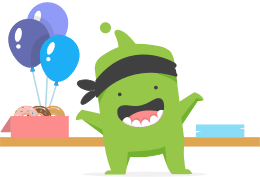 The messaging within Class Dojo is a great way to contact the class teacher and discuss any issues that may arise or to ask any questions you have. This gives you a great insight into what your child is doing at school on a daily basis. The class page will still be updated weekly but the Class Story can give you a 'Facebook style' timeline to see what activities have been going on in the classroom on a day to day basis. If you haven't already signed up to Class Dojo please do so by asking the class teacher for an invite code. If you would like any more information about our Class Dojo please see your child's class teacher or visit Class Dojo.